Beautiful photographs taken by the BBC’s Amensisa Negera and AFP capturing the Timket celebration. 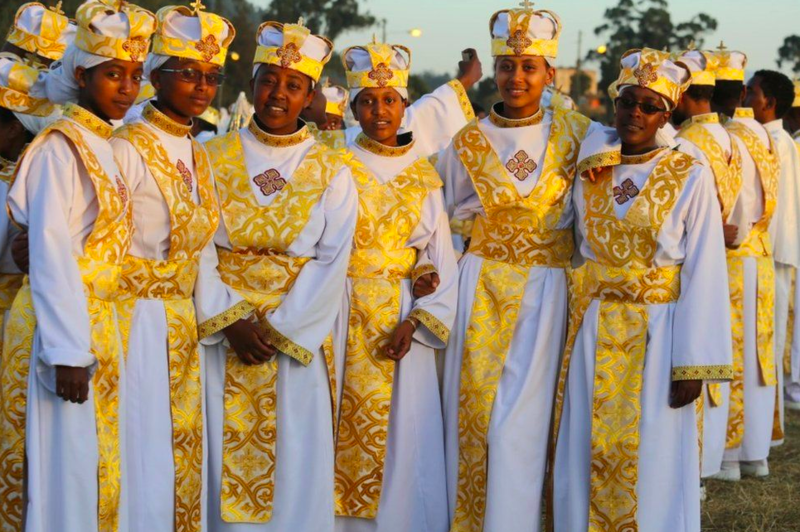 Ethiopian Orthodox Christians have been celebrating the festival of Timket, or Epiphany, which commemorates the baptism of Jesus in the River Jordan. 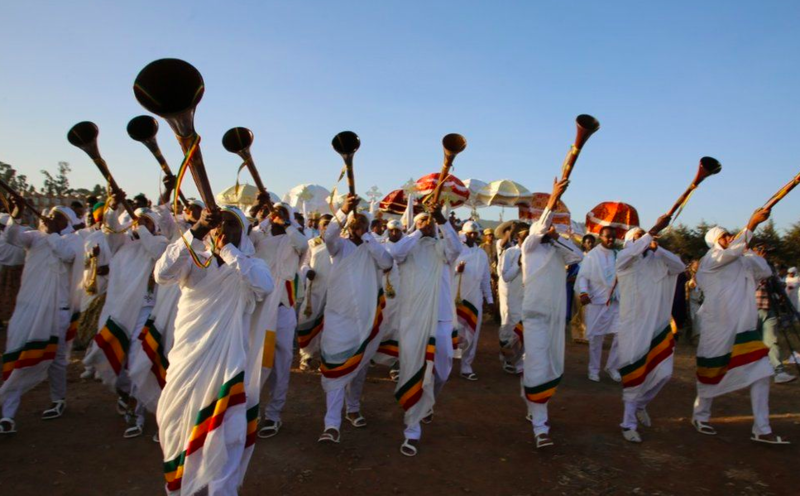 In Ethiopia’s capital, Addis Ababa, thousands of worshippers marched through the streets on Friday, the eve of the festival, to the Jan Meda sports grounds. Each church took its tabot, a model of the Ark of the Covenant that according to tradition contains the 10 Commandments, on the procession. Musicians playing traditional trumpets, or imbilta, led the way. This symbolises the description in the Bible that trumpets were played when the Ark of the Covenant was being moved.